After launching in the Japanese version of Union Cross, the Version 3.0.0 update is now set to arrive to the global version of the game with the conclusion of maintenance. You can read the update notes here: About χ3[ex tres] Mode: This mode can be accessed from the title screen. Main features include the Community chatrooms and the Classic Kingdom minigames! With Communities, you can create or join chatrooms to chat with players of all Unions. Minigames included in Classic Kingdom are: - GIANTLAND - THE MUSICAL FARMER - THE KARNIVAL KID - THE BARNYARD BATTLE - FISHIN' FRENZY For the Limited Challenge, reach a certain score in these games to obtain a product code for the Starlight Keyblade for KH3--note that scores for this campaign are cumulative (you do not need to achieve the set highscores in one attempt), and that the code, once unlocked, will be sent at a later date. Until September 16th at 23:59 PT, a Bonus Jewels Campaign will be in effect: During this same time period, a Guilt Bonus Campaign is also in effect: For this campaign, Munny costs are halved and medal synthesis EXP is doubled as well. Until September 24th at 23:59 PT, the HD Ava EX+ Deal is open! Each pull guarantees one Trait Medal #34 or HD Ava EX+, a 7* Tier 5 or a 7* HD Ava EX+, 10 Limited VIP Coins, and three Mirrors. A 7* HD Ava EX+ is guaranteed within ten pulls. 7* medals received from this deal may come with the following skills: ・Attack Boost VI Max ・Defense Boost I Max ・Defense Boost II Max ・Defense Boost III Max ・ATK B V Max & GA 1 ・ATK B V Max & Lux+ ・Triple Threat II HD Ava EX+: Upright/Magic // Guilt Tier 8 // AoE // 4 SP Cost // for one turn: self [atk, U atk, M atk, PSM def +7], enemy [def, U def, M def -7 & PSM atk-3]; +100% Guilt, 2 SP recovery, enemy counter +2, stronger with more HP, next medal >> M attribute, 3 hits. 5 trait slots. Images from this update so far can be viewed below. How are you enjoying v3.0.0? What are you excited for next in Union Cross? To continue celebrating the 3rd anniversary of the Japanese version of Union Cross, all players of the global version will also receive 13,300 Jewels with the login bonus today at 4:00 PT! For VIP purchasers this week, VIP offers: one Gold Ticket (to be distributed September 10th at 2:00 PT), another four Toon Roxas & Pals medals with a corresponding Trait Medal #32 and a bonus 1400 Jewels, the Starlight Angel Wings accessory and the Starlight Angel Wings pet part, seven Brooms, six Gems (two of each P/S/M type), and seven Mirrors. Until September 30th at 23:59 PT, the Gallant Starlight (M) and Gorgeous Starlight (F) avatar boards are open for 3000 Jewels each: Until September 16th at 23:59 PT, players can receive rewards such as Mirrors, Brooms, and Treasure Trove Boosters (effective until September 16th at 23:59 PT) from the Enhancement Support Event quests! Lastly, defeat the Merry-Go-Rowdy raid boss in this week's Raid Event (until September 9th at 23:59 PT) for rewards such as Brooms and Mirrors. To celebrate the upcoming Ver3.0.0 update, the Radiant Rewards raid boards are also available--players can also receive Jewels, a Fantasia Mickey B medal, and the Starlight Bow accessory. Note that higher-leveled raid bosses will drop more coins. Bonus Times are at: Pacific Time // UTC 2:00 a.m. to 3:00 a.m. // 9:00 to 10:00 8:00 a.m. to 9:00 a.m. // 15:00 to 16:00 2:00 p.m. to 3:00 p.m. // 21:00 to 22:00 8:00 p.m. to 9:00 p.m. // 3:00 to 4:00 Images from this update can be viewed below. How are you planning to spend your Jewels? Firstly--a 0 AP Campaign for all quests is ongoing throughout the month, ending on September 30th at 23:59 PT. This month's Coliseum offers the Loose Slick Back (M) and Elegant Curls (F) hairstyles, and top rankers can earn the new Attack Boost VIII (x2.6 damage) skill. Special Limited Missions this month offer the Yellow Giraffestar set and the Starlight Bow Spirit Parts: Lux Collected by Party // Spirit Part 4,000,000 // Yellow Giraffestar Head 20,000,000 // Yellow Giraffestar Ears 100,000,000 // Yellow Giraffestar Body 500,000,000 // Yellow Giraffestar Legs 2,500,000,000 // Yellow Giraffestar Tail 10,000,000,000 // Starlight Bow This month's Weekend-Only Raid offers rewards such as a Magic Broom. Players can receive a 6* Chip and 6* Dale medal by defeating a LV10 Scourge Spider. Bonus Times are at: Pacific Time // UTC 2:00 a.m. to 3:00 a.m. // 9:00 to 10:00 8:00 a.m. to 9:00 a.m. // 15:00 to 16:00 2:00 p.m. to 3:00 p.m. // 21:00 to 22:00 8:00 p.m. to 9:00 p.m. // 3:00 to 4:00 This month's Monthly Gem Quests offer a Power Gem, two Speed Gems, and two Magic Gems. As for Union Cross, players can receive the Starlight Glasses accessory (Item Drop Perk +6) until September 9th at 23:59 PT. There are six Cross Boards available this time, four of which are open from the start. Bonus Times are at: ● 4:00 a.m. - 4:29 a.m. (PT) / 11:00 to 11:29 (UTC) ● 10:00 a.m. - 10:29 a.m. (PT) / 17:00 to 17:29 (UTC) ● 2:00 p.m. - 2:29 p.m. (PT) / 21:00 to 21:29 (UTC) ● 7:00 p.m. - 7:29 p.m. (PT) / 2:00 to 2:29 (UTC) ● 11:00 p.m. - 11:29 p.m. (PT) / 6:00 to 6:29 (UTC) Until September 13th at 23:59 PT, the Take No Damage Challenge quests are open. There are nine boss stages total (three for each P/S/M attribute), and players must defeat theses bosses without taking damage. Also note that the player is restricted to five special attacks per challenge and that all bosses have counters. Rewards include Brooms and Huey & Dewey & Louie medals. Two new, permanent Event Quests have been added as well: the Training Stage, and the Chasm of Challenges. The Training Stage allows players to test out their deck strength against self-healing enemies, outlined as below: In the Chasm of Challenges, players must use the required Keyblades to defeat increasingly powerful enemies. Note that Friend Medals and Continues cannot be used. New medals can be obtained through these challenges, and more stages will be added later. Lastly, in continuation of the celebration for the third anniversary of the Japanese version, a daily Thank You Draw is being held until the end of the month at September 30th at 23:59 PT. Players can pull from this deal once a day for one medal, and each pull also comes with one Limited VIP Coin. The goal is to pull Sora & Moogle medals; for each Sora & Moogle medal owned by the end of the campaign period, players will receive 1000 Jewels--don't sell them! A Sora & Moogle medal is guaranteed within 10 pulls (days). Images from this update can be viewed below. Good luck with those Sora & Moogles! Until September 4th at 23:59 PT, players can participate in the Player Feedback Survey for a reward of 3000 Jewels, which will be distributed at a later date. Be sure to enter your player ID correctly and complete the survey before closing it! Also note that the 3000 Jewel reward can only be received once on one account, regardless of how many times you submit the form. Until August 31st at 23:59 PT, the 7* Sephiroth EX Deal is open. Each pull guarantees a 7* Guilt Tier 5 medal or a 7* Sephiroth EX medal, and three Mirrors. 7* Sephiroth EX medal is guaranteed within five pulls. The 7* medals pulled may arrive with the following skills: ・Attack Boost VI Max ・Defense Boost I Max ・Defense Boost II Max ・Defense Boost III Max ・ATK B V Max & GA 1 ・ATK B V Max & Lux+ ・Triple Threat II 7* Sephiroth EX: Reverse/Power // Guilt Tier 6 // AoE // 3 SP Cost // for one turn: R atk+3 & atk+1 & P atk+5, enemy def-1 & P def-3; stronger with more HP // x20.41~25.49 max multiplier Until September 4th at 23:59 PT, the Medal Roundup Event is being held. There are a total of three quests, and enemies in these quests may drop the following Guilt Tier 3 medals: (6*) Wardrobe: Upright/Power // AoE // 4 SP Cost // atk & P atk +3 for three attacks Lumière B: Upright/Speed // AoE // 4 SP Cost // atk & S atk +3 for three attacks Mrs. Potts & Chip: Upright/Speed // Single-target // 5 SP Cost // for one turn: S atk+3; 3 SP recovery Belle B: Upright/Magic // Single-target // 2 SP Cost // enemy def-3 for two attacks Cogsworth B: Upright/Magic // AoE // 4 SP Cost // atk & M atk +3 for three attacks Enemies may also drop boosted versions of these medals. As for the Summer Adventure event (ending August 31st at 23:59 PT), Critical Mode quests are now available for Days 1~17. [August 30th PT Update] The 7* KH3 Riku EX+ Deal is open until September 12th at 23:59 PT! Each pull guarantees a Trait Medal #33 (for KH3 Riku EX+), a 7* Guilt Tier 5 medal, and three Mirrors. Note that KH3 Riku EX+ is not guaranteed within any set number of pulls. The 7* medals pulled from this deal (including KH3 Riku EX+) may arrive with one of the following skills: ・Attack Boost VI Max ・Defense Boost I Max ・Defense Boost II Max ・Defense Boost III Max ・ATK B V Max & GA 1 ・ATK B V Max & Lux+ ・Triple Threat II 7* KH3 Riku EX+: Upright/Speed // Guilt Tier 8 // AoE // 6 SP Cost // for one turn: U atk+3, S atk+7, Guilt +100%, enemy def, U def, S def -7; 3 SP recovery, stronger against standalone enemies, does not affect enemy counters, 3 hits. Has 5 Trait slots. Additionally, Proud Mode quests up to quest no.650 are now available. [August 31 PT Update] To celebrate the 3rd Anniversary of the Japanese version of Union Cross, the global version of the game is holding a campaign: for every 1000 Jewels spent as of August 29th at 0:00 PT, players will receive one Limited VIP Coin, to be distributed August 30th at 21:00 PT. These coins can then be redeemed for the following rewards, starting August 31st at 0:00 PT and ending September 30th at 23:59 PT: Images from this update can be viewed below. Be sure to participate in the survey! Starting August 26, 2018 until August 28, 2018 (PST), a new 10 Medal-Deal will include a 7★ Illustrated Aqua B Medal and a boosted version with 1000+ Base STR and DEF! The Illustrated Aqua B Medal is guaranteed within 5 draws. This new 10 Medal-Deal guarantees the following: A 7★ Illustrated Aqua B within 5 draws. A Tier 5, 7★ Medal or a Tier 6, 7★ Illustrated Aqua B Medal per draw. 3 Magic Mirror Medals from each draw. The remaining 9 Medals will be 5★ or higher rarity. Illustrated Aqua B: Upright, 6 Tier Medal, 9 hits 2 turns, USTR +3, Enemy DEF-2. The higher the player's HP the more damage inflicted. The 7★ Illustrated Aqua Medal; as well as the Tier 5, 7★ medal will have a special attack unlocked, a MAX special attack bonus, a powerful skill at MAX level. The possible skills 7★ Illustrated Aqua can have: Attack Boost VI Max Defense Boost I Max Defense Boost II Max Defense Boost III Max ATK B V Max & GA 1 ATK B V Max & Lux + Triple Threat II Pirate avatar boards have arrived to KHUX with ATK B VII Max & GA 1, ATK B VII & LUX+, and DEF Boost V skills. The Pirate Eyepatch has a Skill Perk of +2. The Pirate avatar boards are available from August 26, 2018 to September 6, 2018 for 2500 Jewels! Both avatar boards come with pirate avatar parts, x1 6★ Chip , x1 6★ Cid 10, x3 Magic Brooms, and x5 Magic Mirror medals. A magic gem comes with each board. [August 27th PT Update] For VIP purchasers, this week's VIP offers: a Gold Ticket (to be distributed September 3rd at 23:59 PT), four Toon Roxas & Pals medals, one Trait Medal #32 (for Toon Roxas & Pals), and a bonus 1400 Jewels, along with one Illustrated Xion EX medal, seven Mirrors, seven Brooms, and six Gems (two of each P/S/M type). Toon Roxas & Pals: Upright/Power // Guilt Tier 8 // Random-target // 1 SP Cost // for one turn: U atk+3, atk+7, and PSM atk+5; 6 hits. Images can be viewed below. Until September 17th at 23:59 PT, the Guilt Tier 8 KH2 Kairi EX+ and Xion EX+ medals return in two separate medal deals! Both of these powerful support medals are guaranteed within five pulls in their respective banners. Also note that it is possible to pull either medal from either banner. Each pull guarantees one Trait Medal corresponding to the banner's featured medal, a 7* Guilt Tier 5 medal, and three Mirrors. The guaranteed 7* medal may arrive with one of the following skills: ・Attack Boost VI Max ・Defense Boost I Max ・Defense Boost II Max ・Defense Boost III Max ・ATK B V Max & GA 1 ・ATK B V Max & Lux+ ・Triple Threat II Until August 31st at 23:59 PT, the Special Attack Bonus Challenge quests are open. There are six quests total, and players must clear these challenging quests with a Guilt Tier restriction. Rewards include a Mirror and a 6* Chip medal. Images from this update can be viewed below. Have you already pulled Kairi or Xion EX+? From 12 AM PT 8/22 until 11:59 PM PT 8/28, the Fantastical Fireworks event will be available. Complete the quests to obtain the Goldfish Spirit Part and the "Pyrotechnician" title! From 12 AM PT 8/23 until 11:59 PM PT 8/25, the 7* Roxas Art [EX] Medal Deal will be available. Each pull from costs 3,000 Jewels and you are guaranteed a Tier 5 7* medal or a 7* Roxas Art [EX] medal, 9 5* or higher medals, and 3 Magic Mirror medals. The 7* Roxas Art [EX] is guaranteed within 5 pulls. The guaranteed 7* medal will come with one of the following skills at their maximum level: Attack Boost VI Max, Defense Boost I Max, Defense Boost II Max, Defense Boost III Max, Attack Boost V Max & Gauge 1, Attack Boost V Max & Lux+, Triple Threat II. You also have a chance of getting a boosted version of Roxas Art [EX] with 1,000 more Strength and Defense! For VIP purchasers this week, VIP offers: one Gold Ticket, four more The Incredibles 2 Medal, a Trait Medal #29, and a bonus 1400 Jewels, one Illustrated Kairi EX medal, the Daily Chip & Dale Challenge, the Combination VIP Quest, seven Brooms, six Gems (two of each P/S/M type), and seven Mirrors. A 0 AP Campaign for all quests is also running, until August 31st at 23:59 PT. Until August 31st at 23:59 PT, Union Cross offers the Mickey Mask and the Minnie Mask spirit parts. There are a total of six Cross Boards this time, four of which are open from the start. Bonus Times are at: ● 4:00 a.m. - 4:29 a.m. (PT) / 11:00 to 11:29 (UTC) ● 10:00 a.m. - 10:29 a.m. (PT) / 17:00 to 17:29 (UTC) ● 2:00 p.m. - 2:29 p.m. (PT) / 21:00 to 21:29 (UTC) ● 7:00 p.m. - 7:29 p.m. (PT) / 2:00 to 2:29 (UTC) ● 11:00 p.m. - 11:29 p.m. (PT) / 6:00 to 6:29 (UTC) Until August 22nd at 23:59 PT, the 7* Final Boss Form Xion Deal is open. This deal guarantees a 7* Final Boss Xion medal within five pulls. Each pull guarantees a 7* Guilt Tier 5 medal or a 7* Final Boss Xion and three Mirrors. The 7* medals may arrive with the following skills: ・Attack Boost VI Max ・Defense Boost I Max ・Defense Boost II Max ・Defense Boost III Max ・ATK B V Max & GA 1 ・ATK B V Max & Lux+ ・Triple Threat II A Raid Event is also being held this week! Rewards include the Tote Bag accessory (Raid Boss Ω Perk +5) and a Fantasia Mickey B medal. Defeating the Gummi Hound during Bonus Times will raise its level by five. Bonus Times are at: 2:00 a.m. to 3:00 a.m. PT // 9:00 to 10:00 UTC 8:00 a.m. to 9:00 a.m. PT // 15:00 to 16:00 UTC 2:00 p.m. to 3:00 p.m. PT // 21:00 to 22:00 UTC 8:00 p.m. to 9:00 p.m. PT // 3:00 to 4:00 UTC Use this Raid Event to push your Solo and Party Rankings to the top! Party LUX Rankings this week offer the Struggle Champion Belt accessory (Critical Hit Perk +5). Lastly, the Summer Adventure event story has been updated. Images from this update can be seen below. Which medals have you been aiming for? For VIP purchasers this week, VIP offers: four The Incredibles 2 medals, one Trait Medal #29, and a bonus 1400 Jewels; seven Brooms, seven Mirrors, and six Gems (two of each P/S/M type). The Incredibles 2: Upright/Speed // Tier 8 Guilt // AoE // 0 SP Cost // removes all status effects, high HP recovery, 8 SP recovery, deals fixed damage. Union Cross this week offers Lady Luck Boosters (buffs Lady Luck decks until August 31st at 23:59 PT) and Word Bubble: Watermelon and Word Bubble: Stir Fry spirit parts! There are a total of seven Cross Boards available this time, five of which will be open from the start.30-minute Bonus Times are at: ● 4:00 a.m. - 4:29 a.m. (PT) / 11:00 to 11:29 (UTC) ● 10:00 a.m. - 10:29 a.m. (PT) / 17:00 to 17:29 (UTC) ● 2:00 p.m. - 2:29 p.m. (PT) / 21:00 to 21:29 (UTC) ● 7:00 p.m. - 7:29 p.m. (PT) / 2:00 to 2:29 (UTC) ● 11:00 p.m. - 11:29 p.m. (PT) / 6:00 to 6:29 (UTC) This month's New Organization XIII Event has arrived, this time featuring No.8, Axel! These thirteen high-difficulty quests are open until August 23rd at 23:59 PT and offers a total of 5000 Jewels and five Trait Medal #30 copies (for Axel [+]). Other rewards include Mirrors, Huey & Dewey & Louie medals, and a title. Axel [+] can be obtained from the XIII Falling Price Deal (open until August 27th at 23:59 PT)--Axel [+] is guaranteed to arrive with five ability dots filled within five pulls. Each pull guarantees three Mirrors and two of the following Tier 6+ medals: Each Trait Medal #30 and Axel [+] medal pulled will arrive with one of the following skills: ・Attack Boost VI Max ・Defense Boost I Max ・Defense Boost II Max ・Defense Boost III Max ・ATK B V Max & GA 1 ・ATK B V Max & Lux+ ・Triple Threat II Axel [+]: Reverse/Power // Tier 8 Guilt // AoE // 4 SP Cost // for 2 turns: R atk+5, P atk+5, +90% Guilt, enemy R def-4 & P def-7, stronger if set later in deck, does not affect enemy counters, 5 hits. Images from this update can be seen below. Pull or pass? For VIP purchasers this week, VIP offers: one Silver Ticket, the Pineapple Earring accessory (Skill Perk +6) with a bonus 1400 Jewels, seven Brooms, six Gems (two of each P/S/M type), and seven Mirrors. Until August 17th at 23:59 PT, the Beach Casual (M), Sun-Kissed Summer (F), Swim Shorts (M), and Swimsuit (F) boards return for 1500 Jewels each: The Incredibles family are available as Prime medals in the Incredibles 2 Medal Deal until August 20th, at 23:59 PT. The first pull is free. Each pull guarantees at least two Incredibles collab medals and three Mirrors. Players who have all 7* copies of all four Incredibles medals will receive a Golden Ticket on August 21st. Medal details, as shown in the in-game notice: Clear the ten Incredibles 2 Collaboration event quests (open until August 19th at 23:59 PT) for Incredibles 2 Boosters, which buffs Incredibles 2 medals until August 31st at 23:59 PT. Lastly, an Incredibles 2-themed High Score Challenge is also running until August 19th at 23:59 PT. Rank high for the Bob & Jack-Jack medal! This medal's trait medal (#27) can also be obtained through this event. Top 1000 rankers will receive a Bob & Jack-Jack medal with a Status Bonus. Bob & Jack-Jack: Upright/Magic // Tier 8 Guilt // Random-target // 9 SP Cost // 3 hits [August 10th PT Update] The Prime - Roxas & Xion medal is available in a new medal deal until August 23rd at 23:59 PT! Each pull guarantees one Trait Medal #28, a 7* Tier 5 Guilt medal (which will arrive with max Guilt and one of the following skills maxed: Attack Boost VI Max, Defense Boost I Max, Defense Boost II Max, Defense Boost III Max, ATK B V Max & GA 1, ATK B V Max & Lux+, Triple Threat II), and three Mirrors. A 7* Prime - Roxas & Xion is guaranteed within 5 pulls. 7* Prime - Roxas & Xion: Reverse/Speed // Tier 5 Guilt // AoE // 6 SP Cost // for 1 turn: R atk+3, S atk+7, +80% Guilt, enemy R & S def-7 & def-5, 3 SP recovery, stronger against standalone enemies, does not affect enemy counters, 4 hits For Android users upgrading to Android 9.0 (Pie): please make sure that your account is backed up before updating, as there have been reports of incompatibility with the game with the update. Images from this update can be viewed below. How did your free pull go? This month's Coliseum offers the Struggle Bat accessory (Critical Hit Perk +5), and top rankers can earn the new Attack Boost VII & Lux+ skill (2.4x damage, boosted Lux drop, 100% activation rate at LV20). Special Missions this month offer the Otterstar spirit parts set and the Swim Snorkel spirit part. This month's Gem Quests offer two Power and Magic Gems, and one Speed Gem. As for the 358/2 Days Collaboration, this collaboration includes: a Union Cross event, the Summer Adventure event side story, the Free Jewels Campaign, and special avatar boards. The 358/2 Days Union Cross update runs until August 12th at 23:59 PT--get Organization XIII boosters (buffs Organization XIII medals until August 31st at 23:59 PT) and the Roxas' Skateboard accessory (Raid Boss Perk +5)! There are a total of seven Cross Boards available this time, four of which are open from the start. 30-minute Bonus Times are at: ● 4:00 a.m. - 4:29 a.m. (PT) / 11:00 to 11:29 (UTC) ● 10:00 a.m. - 10:29 a.m. (PT) / 17:00 to 17:29 (UTC) ● 2:00 p.m. - 2:29 p.m. (PT) / 21:00 to 21:29 (UTC) ● 7:00 p.m. - 7:29 p.m. (PT) / 2:00 to 2:29 (UTC) ● 11:00 p.m. - 11:29 p.m. (PT) / 6:00 to 6:29 (UTC) Until August 31st at 23:59 PT, the Summer Adventures event side story will be open! A new quest will open each day until August 10th; further details regarding these quests will be given at a later notice. The 358/2 Days Free Jewels Campaign runs until August 9th at 23:59 PT--for each 10,000 players that clear the quest, all players who have cleared the quest will receive 1,000 Jewels. (Note that only the first quest clear from each account is counted, and that the quest clears from the Japanese server are not combined with Global's.) A maximum of 3,000 Jewels can be obtained through this campaign, and Jewels will be distributed at approximately 1:30 AM on August 10th PT. Until August 12th at 23:59 PT, the KH2 Hayner, KH2 Pence, and KH2 Olette boards are open for 2500 Jewels each: Until August 11th at 23:59 PT, the Subslot Strengthening Event is open. There are four quests total: 6* copies of the Tier 1 Guilt Hayner, Pence, and Olette medals can be obtained from clearing quest objectives and from enemy drops. Medal drop rate increases with difficulty, and Item Eggs guarantee a medal drop. Evolve these 6* medals into 7* medals to strengthen your Keyblade subslots! Until August 6th at 23:59 PT, the 7* Medal Deal is open. This deal can be pulled from three times a day for 1500 Jewels each. Each pull guarantees five 7* medals, of which one is guaranteed to be a 7* Tier 4 or 5 Guilt medal. Lastly, Proud Mode quests are now available up to Quest 625. Images from this update can be viewed below. Let us know your thoughts! From 12 AM PT 7/11 until 11:59 PM PT 7/11, the Gem Deals will be available! Each Deal costs 1500 Jewels to pull from. With each pull you are guaranteed 2 7-star medals, 3 5-star or higher medals, and 3 Gems based on which Deal you pull from. From 12 AM PT 7/11 until 11:59 PM PT 7/21, the Tier 4 or Below Challenge Quests will be available! There are 10 quests and you can only use the Special Attacks of medals that are Tier 4 or lower. Some of the rewards for these quests include 6-star Chip and Dale medals and Skip Tickets! From 2 AM PT 7/9 until 9:59 PM PT 7/15, the Daily Party Raid Event will be available. Defeat the Raid Boss to get Raid Coins on the Raid Boards. Your Raid Coins will reset each day and the Raid Boards will change each day. The quest will be available from 2 AM PT - 2:59 AM PT, 8 AM PT - 8:59 AM PT, 2 PM PT - 2:59 PM PT, and 8 PM PT - 8:59 PM PT. The Raid Boards will only be available during the Raid Boss times and 30 minutes after they end. From 12 AM PT 7/9 until 11:59 PM PT 7/16, the Skill Medals Falling Price Deal will be available. The cost for the Deal will start at 3000 Jewels, but will lower on each pull until the lowest cost of 1900 Jewels on the 5th pull! With each pull you are guaranteed and Tier 4 7-star medal with a skill at max level, 9 5-star or higher medals, and a Cid 5 medal. The possible skills that can be on the 7-star Tier 4 medal are: Attack Boost VI Max, Defense Boost I Max, Defense Boost II Max, Defense Boost 3 Max, Attack Boost V Max & Gauge 1, Attack Boost V Max & Lux+, and Triple Threat II. From 12 AM PT 7/9 until 11:59 PM PT 7/15, there will be VIP Quests for those who buy the Weekly Jewel Extravaganza. You'll get quests to obtain 4 Invisible Medals along with a Trait Medal and 1400 Jewels, a quest to get a Illustrated Marluxia [EX] medal, a quest to get a KHIII Sora [EX] medal, quests to get 7 Magic Broom medals, quests to get 6 Gems (2 Power, 2 Speed, and 2 Magic), and quests to get 7 Magic Mirror medals. Until July 17th at 23:59 PT, seven high-difficulty quests are open--deal as much damage as you can in one hit to clear quest objectives! Rewards include Huey & Dewey & Louie EXP medals. Until July 16th at 23:59 PT, the Prime - KH2 Riku & Mickey Deal is open! Each pull guarantees one 6* Prime - KH2 Mickey & Riku medal, a Tier 4 Guilt 7* medal, and three Mirrors. A 7* Prime - KH2 Riku & Mickey is guaranteed within five pulls. 7* Prime - KH2 Riku & Mickey: Upright/Speed // Tier 4 Guilt // AoE // 4 SP Cost // for 2 turns: U atk+3, atk+7, S atk+4, +60% Guilt, enemy U def & S def -3, enemy def-4; stronger with more HP, 3 hits. Has 5 Trait slots. As of July 5th at 0:00 PT, Proud Mode quests are now available up to Quest 600. Until July 10th at 23:59 PT, three extra battle quests will be open each day. Rewards include Cid and EXP medals. Lastly, this PvP ranking period (until July 9th at 23:59 PT) rewards more tickets. Top-ranking players will earn a special title as well: #1 - Season 1 Champ 2nd~10th - Season 1 Top 10 11th~100th - Season 1 Top 100. Images from this update can be viewed below. Which medals are you pulling for? For VIP purchasers this week, VIP offers: the KH3D Sora: Funny Glasses spirit part accessory and a bonus 1400 Jewels, another Illustrated Marluxia EX (5/7 chances) medal, another KH3 Sora EX medal (5/7 chances), seven Brooms, six Gems (two of each P/S/M type), and seven Mirrors. This week's Union Cross offers rewards such as the Baseball Cap and Soccer Ball spirit part accessories, and runs until July 15th at 23:59 PT. There are a total of six Cross Boards available this time (one for each spirit part, two Mirror sets, two Broom sets), four of which are open from the start. 30-minute Bonus Time periods are during: ● 4:00 a.m. - 4:29 a.m. (PT) / 11:00 to 11:29 (UTC) ● 10:00 a.m. - 10:29 a.m. (PT) / 17:00 to 17:29 (UTC) ● 2:00 p.m. - 2:29 p.m. (PT) / 21:00 to 21:29 (UTC) ● 7:00 p.m. - 7:29 p.m. (PT) / 2:00 to 2:29 (UTC) ● 11:00 p.m. - 11:29 p.m. (PT) / 6:00 to 6:29 (UTC) Images from this update can be viewed below. July's Coliseum offers the Forever Pixie (M) and Lovely Bun (F) hairstyles! Rank high for the new Atk B VII Max & GA 2 skill (consumes only 2 SP gauges, 100% activation chance, 2.4x damage modifier). This month, missions under the "Limited" tab offer the Orange Tortoistar and the Mickey Visor spirit parts: Lux Collected // Spirit Part 4,000,000 // Orange Tortoistar Head 100,000,000 // Orange Tortoistar Body 500,000,000 // Orange Tortoistar Legs 2,500,000,000 // Orange Tortoistar Tail 10,000,000,000 // Mickey Visor This month's Gem Quests offer two Power Gems, two Speed Gems, and one Magic Gem. Gear up the required Keyblades and clear these five quests! Be sure check in for the daily login rewards each day, too--a Toy Story Booster will be distributed every day this month as a login reward bonus. These boosters buff Toy Story medals (up to 31%) until July 31st at 23:59 PT. Until July 8th at 23:59 PT, three Critical-difficulty event quests are open! Clearing these quests offers rewards such as 3000 Jewels and Moon Gems. Stay sharp in these quests--the quest boss is a new type of heartless that absorbs Reversed attacks to heal itself, so use Upright medals! Special attacks of Reversed medals that are attribute-less or ignore attributes will still be able to damage this heartless, though. Lastly, until July 9th at 23:59 PT, Xion EX+ is available in a Falling Price Deal! The first pull is free. Each pull guarantees one Trait Medal #20 (for Xion EX+), a Tier 4 Guilt 7* medal, and three Mirrors. Xion EX+ is not guaranteed within any set number of pulls. Xion EX+: Reversed/Speed // Tier 8 Guilt // AoE // 0 SP Cost // for 1 turn: overwrite self [atk, Rev, PSM atk +7], overwrite enemies [def, Rev, PSM def -7 & PSM atk-2], Guilt +80%, enemy attack counter +1, max HP recovery, Esuna, 10 SP recovery. Images from this update can be viewed below. How have your pulls been going? Coinciding with the world's presence in the upcoming Kingdom Hearts III, characters of Pixar's Toy Story enter the world of Kingdom Hearts Unchained χ in the Toy Story Land Collaboration Event! This collaboration features an event and two medal deals. Until July 31st at 23:59 PT, the event offering rewards such as Jessie medals, Mirrors, and EXP medals is being held. There are seven quests in total--clear the objectives to obtain the rewards! 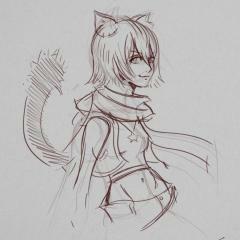 Jessie (6*): Upright/Magic // Tier 3 Guilt // AoE // 0 SP Cost // for one turn: enemy Upright def & Reverse def -1, 3 SP recovery. During this same time period, two medal deals featuring the Prime - Woody and Prime - Buzz Lightyear medals are open! Both medals are guaranteed to arrive as 7* medals within five pulls on their respective banners, though both medals may be obtained from either banner. (Obtaining a Prime medal from the banner they are not featured on will not affect the guarantee counter on their respective banner.) Each pull otherwise guarantees one 6* copy of the banner's featured Prime medal, a Tier 4 Guilt 7* medal, and three Mirrors. Prime - Woody (7*): Upright/Speed // Tier 4 Guilt // AoE // 3 SP Cost // for one turn: Upright atk+3, S atk+4, Guilt +60%; enemy def & Upright def & S def -4. Stronger against standalone enemies, 4 hits. Prime - Buzz Lightyear (7*): Upright/Power // Tier 4 Guilt // AoE // 3 SP Cost // for one turn: Upright atk+3, P atk+4, Guilt +60%; enemy def & Upright def & P def -4. Stronger against standalone enemies, 4 hits. *Both medals have 5 trait slots as 7* medals. As 6* medals, they have 3 trait slots. Until July 2nd at 23:59 PT, a Daily Deal offering Tier 4 Guilt 7* medals is open! Players can pull from this deal once a day for 1200 Jewels in order to receive five 7* medals, of which one is guaranteed to be a Tier 4 Guilt medal. Until July 3rd at 23:59 PT, a Quiz Event is being held! Answer and clear these 10 quests for a total of 500 Jewels. Lastly, the Hercules (M) and Megara (F) avatar boards are open for 2500 Jewels each until July 9th at 23:59 PT: Images from this update can be viewed below. Which medals are you aiming for--EX+ Kairi,Toy Story, or pass? For VIP purchasers this week, VIP offers: the Balloon Moogle & Chirithy spirit part accessory and a bonus 1400 Jewels, another Illustrated Marluxia EX (4/7 chances), another KH3 Sora EX (4/7 chances), 7 Brooms, 7 Mirrors, and 6 Gems (two of each P/S/M type). Until the end of the week at July 1st at 23:59 PT, all quests will cost 0 AP! Take advantage of this campaign! During this same time period, Union Cross offers the Green Frog Cap and the Starlight Frog Cap (Item Drop Perk +3) avatar parts! Bonus Times are as usual: ● 4:00 a.m. - 4:29 a.m. (PT) / 11:00 to 11:29 (UTC) ● 10:00 a.m. - 10:29 a.m. (PT) / 17:00 to 17:29 (UTC) ● 2:00 p.m. - 2:29 p.m. (PT) / 21:00 to 21:29 (UTC) ● 7:00 p.m. - 7:29 p.m. (PT) / 2:00 to 2:29 (UTC) ● 11:00 p.m. - 11:29 p.m. (PT) / 6:00 to 6:29 (UTC) The final stage of the Global Festival event is also being held this week. This time, it's a Raid Event again--work with players of the Japanese version of the game to reach the goal of 500 trillion LUX combined! The Jewel Princess raid boss drops more coins at LV99. Also note that there are no raid bonus times. Rewards will be sent after July 3rd at 23:59 PT. Lastly, until June 30th at 23:59 PT, five Skills to Thrill Deals are open! Each pull costs 1500 Jewels and guarantees the featured 6* Scrooge medal on the banner being pulled from, along with five other 6* attack medals (Tier 4+ medals may appear). Each draw can only be pulled from up to three times a day. [June 26th PT Update] Until July 9th at 23:59 PT, the Stitch (M) and Angel (F) avatar boards are open for 2500 Jewels each! They contain: Images from this update can be viewed below. Let us know what you think! For VIP purchasers this week, VIP offers: 4 more Toon Sora & Goofy medals, one Trait Medal #17, 1400 Jewels, another Illustrated Marluxia EX (3/7 chances), another KH3 Sora EX (3/7 chances) 7 Mirrors, 7 Brooms, and 6 Gems (two of each P/S/M type). For Stage 2 of the Global Festival event, clear Union Cross quests more times than the Japanese players for the victory! Rewards this time include the Chirithy Snuggly avatar part (+5 Critical Hit Perk) and Diamond Dust Boosters (buffs slots 1-5 of Diamond Dust ~6/30@23:59 PT). There are a total of 8 Cross Boards, but note that there will be not be any Extra Hard Boss Time periods. Time periods for more rare enemies are: ● 4:00 a.m. - 4:29 a.m. (PT) / 11:00 to 11:29 (UTC) ● 10:00 a.m. - 10:29 a.m. (PT) / 17:00 to 17:29 (UTC) ● 2:00 p.m. - 2:29 p.m. (PT) / 21:00 to 21:29 (UTC) ● 7:00 p.m. - 7:29 p.m. (PT) / 2:00 to 2:29 (UTC) ● 11:00 p.m. - 11:29 p.m. (PT) / 6:00 to 6:29 (UTC) Until June 20th at 23:59 PT, the Special EX Medal Deal can be pulled from up to 3 times a day and guarantees one of the following EX medals with each pull: Key Art #16 EX+, KH2 Cloud EX+, HD Aqua EX, HD Terra EX, Dual Wield Roxas EX, HD Invi, Illustrated KH2 Sora & Riku EX, Roxas Art EX. Until June 24th at 23:59 PT, the Stained Glass medals return in their respective deals! Each draw guarantees their featured Stained Glass medal within 5 pulls, and each pull guarantees one Trait Medal belonging to the featured Stained Glass medal and 3 Mirrors. [June 21st PT update] As of June 21st at 0:00 PT, 15 new Main Story quests have been added. Until June 28th at 23:59 PT, the high-difficulty Daily One-Turn Triumph Challenge is being held! There are three quests daily, and clearing them all will net a total of 2000 Jewels. Enemy attributes change daily, based on this cycle: Speed >> Magic >> Power. Images from this update can be viewed below. Pull or pass? Until June 21st at 23:59 PT, a medal deal offering the Prime - 7* Key Art #17 medal is open! Each pull guarantees one 6* - Prime Key Art #17 medal, a Tier 4 Guilt 7* medal, and three Mirrors. 7* Prime - Key Art #17 is guaranteed within 5 pulls. This medal includes artwork. 6* Prime - Key Art #17: Upright/Magic // Tier 4 Guilt // AoE // 3 SP Cost // for 1 turn: M atk+4, +40% Guilt, enemy def & M def & U def -4. Stronger against standalone enemies, 4 hits. Has 3 Trait slots. 7* Prime - Key Art #17: Upright/Magic // Tier 4 Guilt // AoE // 3 SP Cost // for 1 turn: M atk+4, U atk+3, +60% Guilt, enemy def & M def & U def -4. Stronger against standalone enemies, 4 hits. Has 5 Trait slots. During this same time period, a Time Attack Challenge event is being held. Defeat powerful enemies as quickly as you can! There are five quests in total, and rewards include Chip, Dale, and EXP medals. [June 16th PT Update] Until June 22nd at 23:59 PT, five event quests offering rewards such as EXP medals are open. To clear these quests, find the hidden heartless and defeat them! As for the Global Fest Raid Event, players will receive double LUX for this raid event from June 17th at 0:00 PT to the end of the day at 23:59 PT. Take advantage of this one day! Images from this update can be viewed below. Will you pull for this Prime medal? Until June 22nd at 23:59 PT, players can obtain the KH3 Sora & Kairi boards for 2500 Jewels each: The Jack Sparrow and Carina Smyth boards return as well, available for 1500 Jewels each: For VIP purchasers this week, VIP offers: 4 Toon Sora & Goofy medals, 1 Trait Medal #17 (for Toon Sora & Goofy), 1400 Jewels; another Illustrated Marluxia EX (2/7 chances), another KH3 Sora EX (2/7 chances), 7 Brooms, 7 Mirrors, and 6 Gems (two of each P/S/M type). Toon Sora & Goofy (includes artwork): Upright/Magic // Tier 8 Guilt // Single-target // 5 SP Cost // for 1 turn: atk+7, Upright atk+3. Stronger against standalone enemies, removes enemy status effects. 4 hits. Until June 18th at 23:59 PT, two Imitation Medal Deals are open! 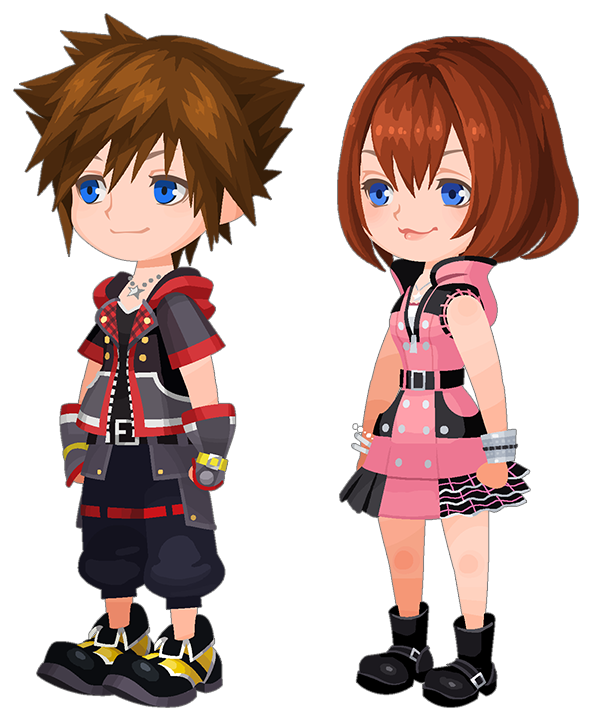 Illustrated Kairi EX and Illustrated Xion EX are guaranteed within 5 pulls within their respective banners, though it is possible to receive either medal from either draw. Otherwise, each pull guarantees at least one Tier 3+ copy medal with 1-3 ability dots filled and a Broom. **the new medals Beagle Boys (Reversed/Speed, Tier 3 Guilt, 5 SP Cost) and Lion Pete (Reversed/Power, Tier 4 Guilt, 1 SP Cost) both copy the medal set before them in deck. Union Cross this week offers the Zazu Balloon accessory (+3 Item Drop Perk) and Stroke of Midnight Boosters (buffs slots 1-5 on Stroke of Midnight ~6/30@23:59 PT)! There are a total of 7 Cross Boards, 5 of which will be available from the start. Bonus Times are at: ● 4:00 a.m. - 4:29 a.m. (PT) / 11:00 to 11:29 (UTC) ● 10:00 a.m. - 10:29 a.m. (PT) / 17:00 to 17:29 (UTC) ● 2:00 p.m. - 2:29 p.m. (PT) / 21:00 to 21:29 (UTC) ● 7:00 p.m. - 7:29 p.m. (PT) / 2:00 to 2:29 (UTC) ● 11:00 p.m. - 11:29 p.m. (PT) / 6:00 to 6:29 (UTC) This week, the Worldwide Raid Event: Global Festival -1st Stage- is being held! In this raid event, players of the NA (International) version of the game will want to earn more LUX than players of the Japanese version of the game--rewards will be sent out to the winning side after July 3rd PT. Otherwise, rewards offered in this event include the Musical Note Earrings (+3 Skill Perk) and a Fantasia Mickey B medal. Summon and defeat the Darkside Raid Boss for Raid Coins! The LV99 event Darkside will drop more Raid Coins. Note that there are no Raid Bonus Times in this event. Use this raid event to bolster your solo and party LUX rankings! Top parties will receive the Unicorn Style pet part. As of June 10th at 23:59 PT, damage multipliers for all 7* medals (excluding the recently added Prime - Illustrated Axel medal, which already had the buff implemented) have been buffed. Images from this update can be viewed below. Do your best in the Global Raid Event! With the release of the latest Kingdom Hearts III trailer on Sony's Playstation E3 showcase, Kairi's Kingdom Hearts III design has been officially revealed! The official Kingdom Hearts III website has provided a render of Kairi's design: The release of avatar boards based on Kairi and Sora's Kingdom Hearts III designs offers another look at Kairi's new design: In both the International and Japanese versions of Kingdom Hearts Union χ[cross], players can obtain these boards for 2500 Jewels each until June 22nd at 23:59 PT for the international version and June 25th at 23:59 JST for the Japanese version. Further details of today's update for the international version of Union χ[cross] can be viewed here. Kingdom Hearts III releases on PlayStation 4 and Xbox One on January 25, 2019 in Japan, and January 29, 2019 to the rest of the world. You can now watch the latest Frozen trailer, Square Enix E3 Showcase trailer, and the Pirates of the Caribbean trailer! Check out our coverage for Kingdom Hearts III at E3 2018 and keep an eye on our Twitter for our live updates!